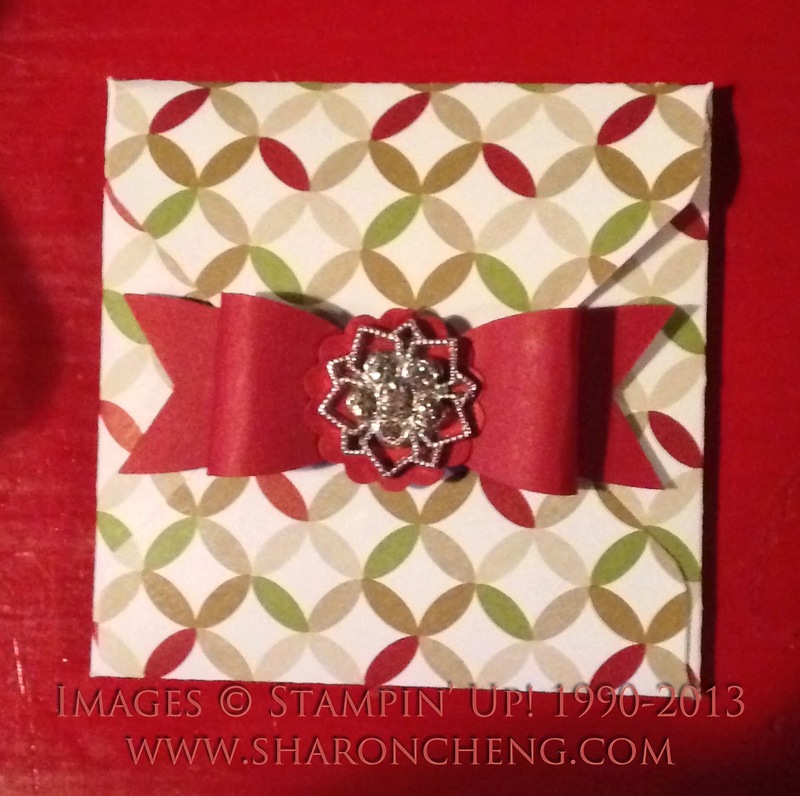 Here are some Stampin' Up! 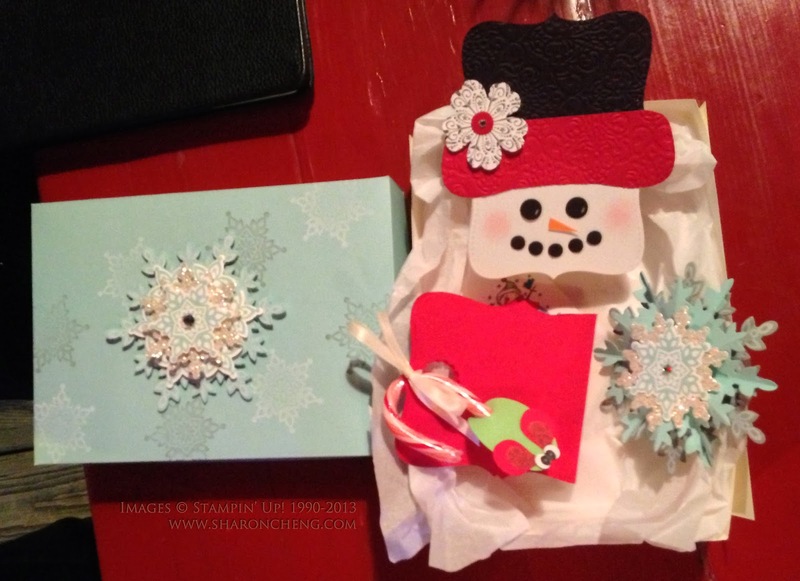 Christmas gifts and 3D stocking stuffer party favors if you are looking for some holiday inspiration. 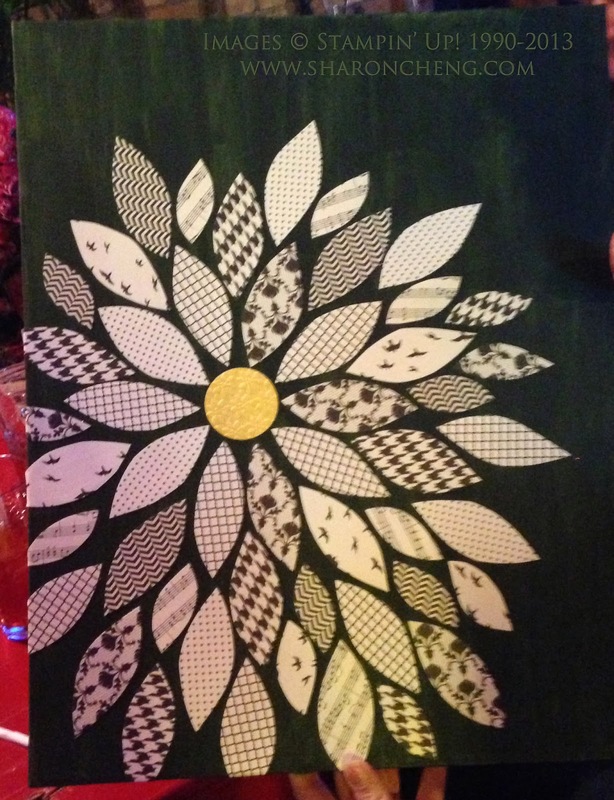 We had our Stampin' Up! demonstrator Christmas party last Friday. Our tradition is to trade stocking stuffer type gifts and then do a Sneaky Santa gift exchange. This year everyone was so nice that no one stole any of the Sneaky Santa gifts. I apologize in advance for the quality of the photos. Most of them were taken at the restaurant which thankfully had red tables! LOL. 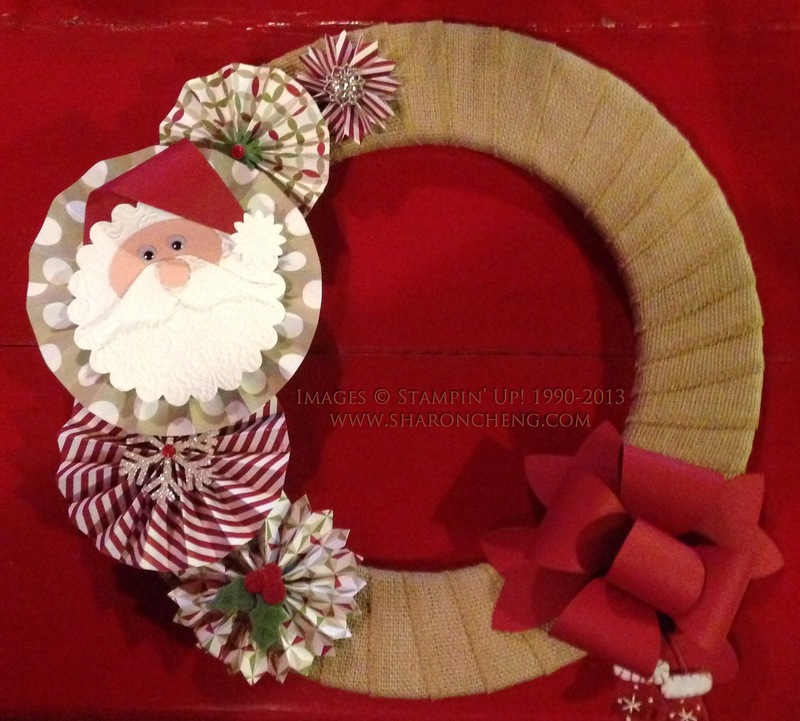 Cindy Peterson made the wonderful Santa burlap wreath. Notice all of the rosettes? 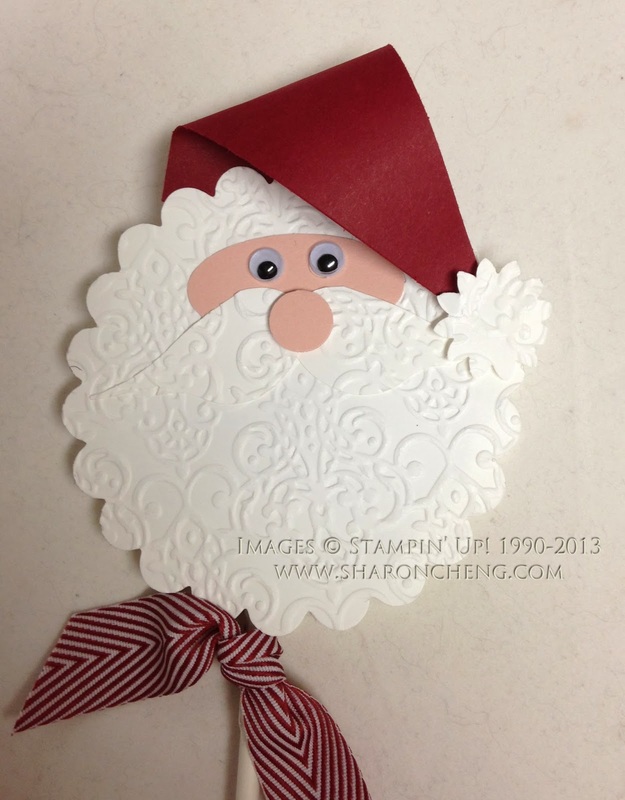 Cindy used the same punch art Santa to decorate this lollipop. 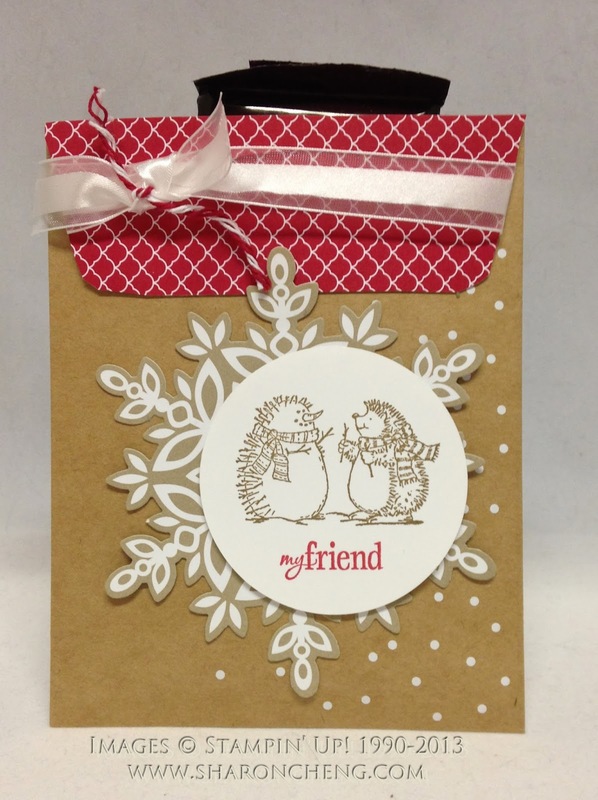 Rosettes are easy to make using Stampin' Up! 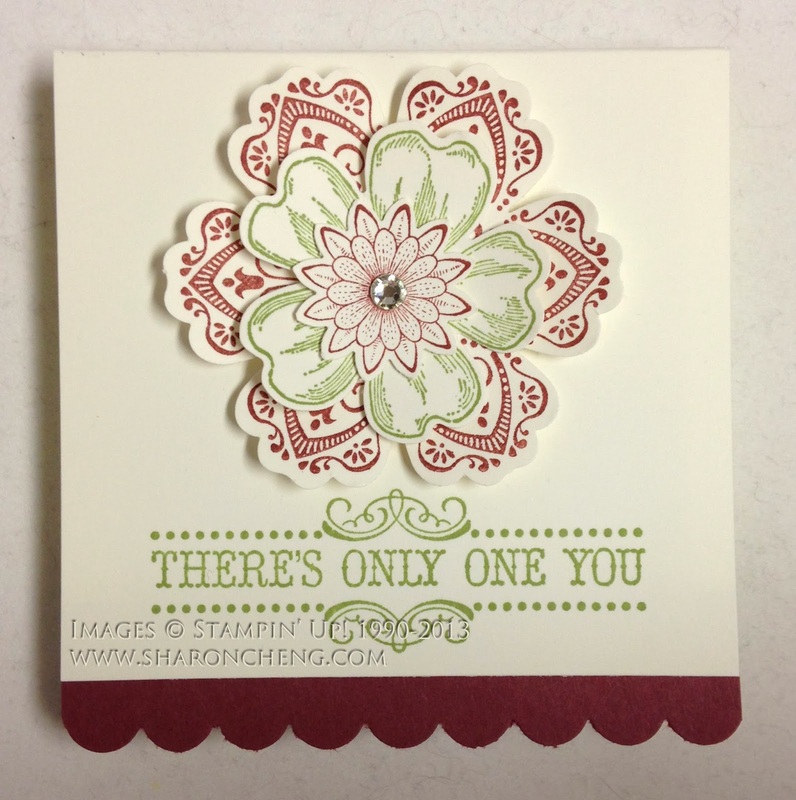 's Designer Rosette Bigz XL Die (125594 $42.95). This die is currently a Weekly Deal on sale through Monday for $32.21. 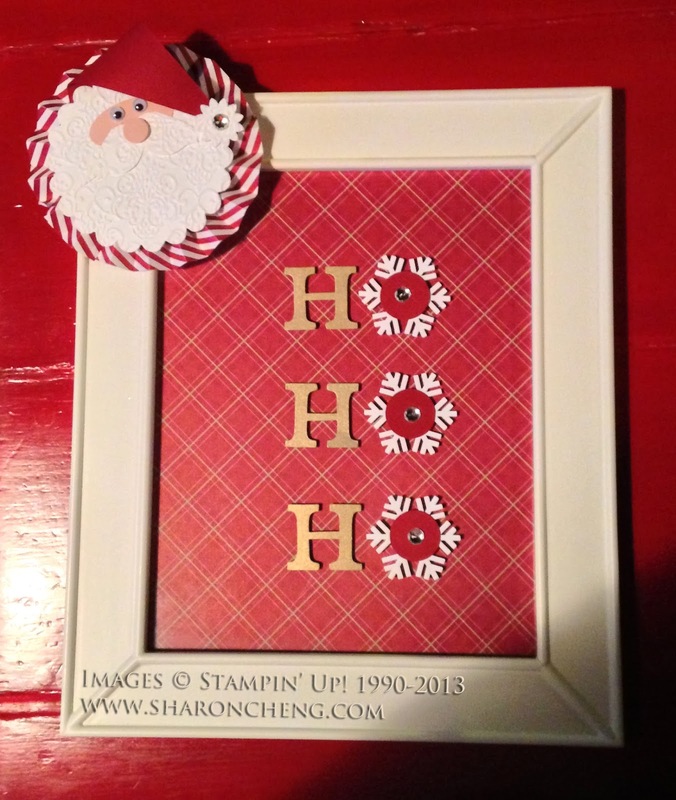 Here is a Ho, Ho, Ho Frame using the same punch art Santa. If you would like other ideas for how to use rosettes, check out my Pinterest board. Enjoy the other Sneaky Santa gifts. If you've been following my blog, you know that I am part of a very talented group of creative women. Here are some of the Stocking Stuffers that we also swapped at our Christmas party. 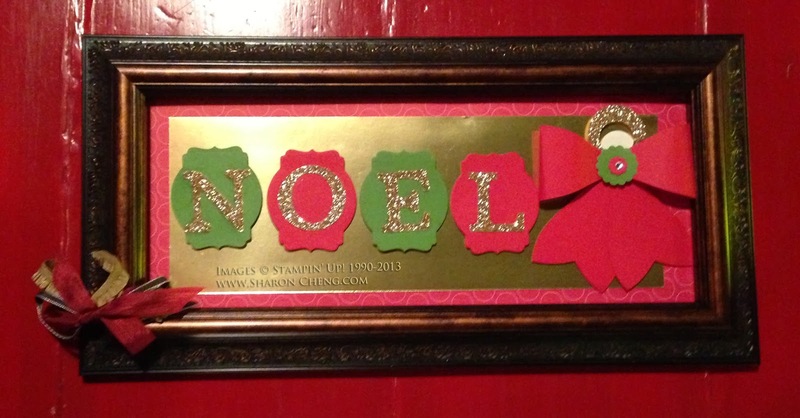 I made this stocking stuffer using the envelope punch board. The bow is made using the large oval punch. I'll post a tutorial for this project next week.